In Malta from times to times there is a big storm with pouring rain. It doesn’t last long, generally the sun comes back quickly. The problem is that the drainage and rainwater storage system is not efficient. Indeed, when it rains a lot, sewers overflow and streets become rivers. Cars splash everything in their path until they’re prevented from going further by the flood. It’s better to stay peacefully at home and wait that all the water drains away into the sea. Otherwise you might get your feet wet, as those tousists taken by surprise. 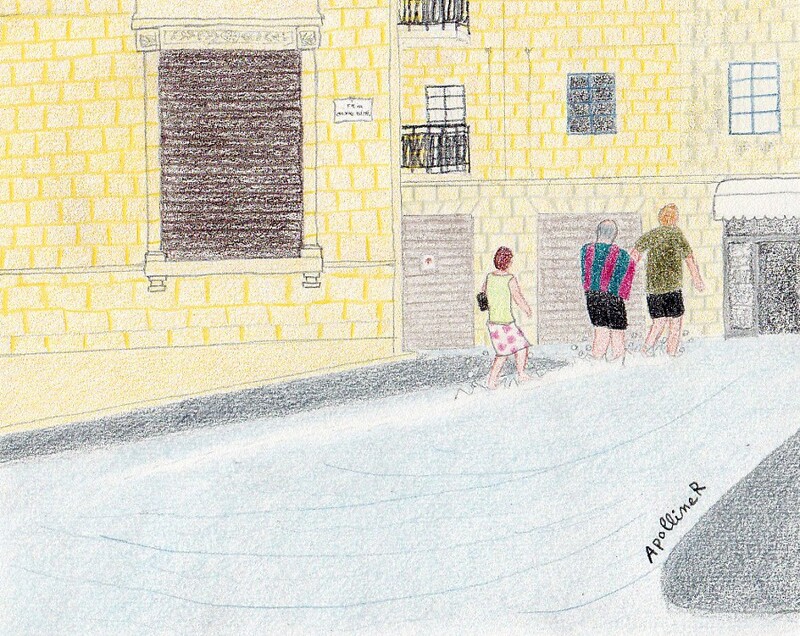 This entry was posted in Malta and tagged drawing, Expat diary by ApollineR. Bookmark the permalink.